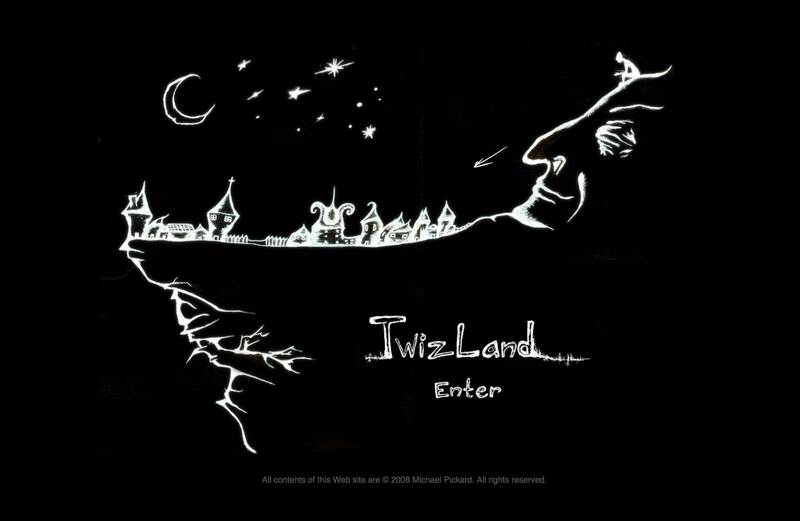 One of the early Flash animation-based web sites I designed was this one, for imaginative California-based artist, Michael Pickard. He would draw things, scan them, and send them to me, after which I would take them apart piece by piece and animate them. The splash page (back when that was a thing) featured shooting stars moving across the night sky.